It’s a fact that medicine is a very complex biological system- this is especially true of IVF. However, there are certain rules of thumb (heuristics) which can be extremely useful when we practice reproductive medicine. This is how we are able to ascertain that when a patient’s embryos fail to implant, in 90% of the cases, the problem is with the embryo rather than with the endometrium. Similarly, when we encounter the distressing problem of failed fertilization after IVF, sperm dysfunction is the cause, rather than an egg problem. However, if we encounter failed fertilization after ICSI, the problem is much more likely to be because of egg dysfunction, unless the man has globozoospermia. Also, in a good IVF lab, if all the embryos of a particular patient are of poor quality, in most instances the problem lies with the eggs and not the sperm. These heuristics are extremely useful when things go wrong and we are counseling patients. It gives us the basis to chalk out the next plan of action. We can also be confident that the advice we are giving patients is sound and credible. This, despite the fact that we do not have any specific evidence for that particular patient. All these rules are essentially based on experience with numerous other patients. In the current day, empirical evidence is quite reliable since medical science has a lot of experience with IVF. However, there will always be exceptions to these rules. The fact of the matter is that doctors simply love these exceptions. Complex cases fascinate them and it is these “outlier” patients that help banish the monotony from what becomes run-of-the-mill cases for them. They are always on the lookout for the new & the unusual; something that can challenge their curiosity and perhaps result in a paper they can publish! They believe that they can learn a lot more from these exceptions and can use this knowledge to advance medical science. After all, there isn’t any groundbreaking medical discovery that can be made from handling ordinary cases. They treasure their exceptions, and this is why doctors are fascinated by the out-of the-ordinary cases that they encounter. From the patient’s viewpoint, it becomes extremely important for them to know what the standard cases are. They are keen to understand whether they are really the exception. Since doctors are fascinated by the uncommon cases, they will go all out with ordering extensive tests in an effort to pinpoint what the cause of the problem in that particular patient is. This is especially true for clinicians who are also research scientists. While this may be acceptable in a university setting, or during a trial, it is inappropriate in a clinical setting. It can be a waste of time and burdens the patient’s finances as most of these tests are uncommon and expensive. Infertile patients can’t afford to go to doctors who enjoy chasing red herrings to satisfy their intellectual itch! It is a wasteful exercise and does not help the patient in any way, as it does not generally alter her treatment options. 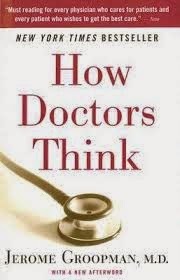 Hunting for zebras is an intellectual challenge for doctors. They treasure these cases as it helps them play the game of one-upmanship amongst their colleagues. However, this may not always be in your best interests! Not sure if your problem is the exception which tests the rules? Please send me your medical details by filling in the form at http://www.drmalpani.com/free-second-opinion so I can guide you sensibly?